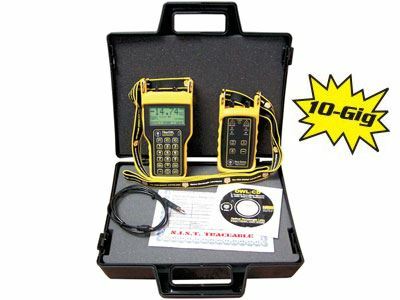 Fiber OWL 4 BOLT Series Auto-Wavelength Test Kits offer the ultimate in user-friendliness. Not only does the Fiber OWL 4 BOLT perform optical link length tests, but when used together with the WaveSource fiber optic light source in automatic mode, the meter and light source use auto-wavelength switching technology that coordinates wavelengths automatically, without the need for further user intervention. This feature increases productivity by decreasing testing time and human error. The WaveSource line of light sources also includes the least-expensive quad-wavelength fiber optic light source on the market, integrating all four popular wavelengths into one unit (850/1300nm for multimode and 1310/1550nm for singlemode).